Jumpin' Jim's Camp Ukulele is a collection of 40 of some of the best-loved family sing along songs with easy to play ukulele arrangements. 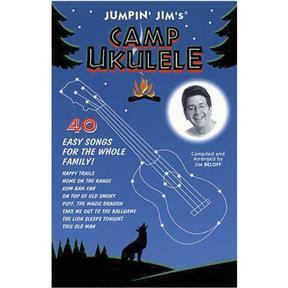 This songbook also features many vintage summer fun photographs, a chord chart and a basic how to play section. 72 pages.